Situated in a sought after village location, this individually designed, three bedroom detached family home has been constructed to a high standard in 2013 by GS Development Ltd. The property has gas central heating, double glazing and a security alarm. 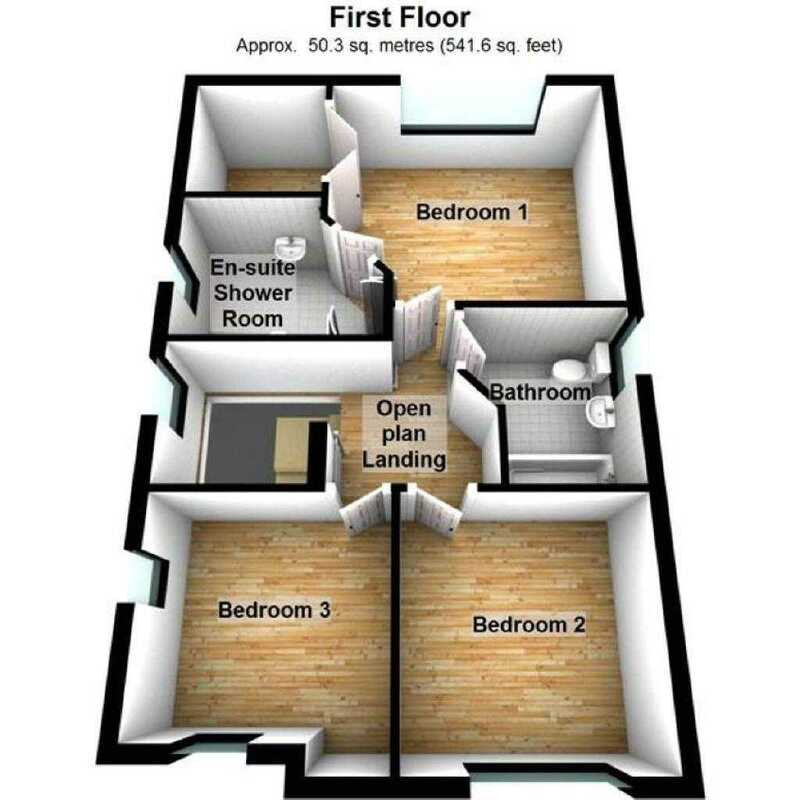 The accommodation briefly comprises: entrance hall, downstairs WC, lounge, 24' open plan family dining kitchen with french doors to the garden, utility room, three bedrooms with an en-suite shower room and a family bathroom. Externally, there is a front lawned garden with off road parking and a lawned garden with off road parking, garage with up-and-over doors to the rear. Viewing recommended to appreciate the accommodation on offer. 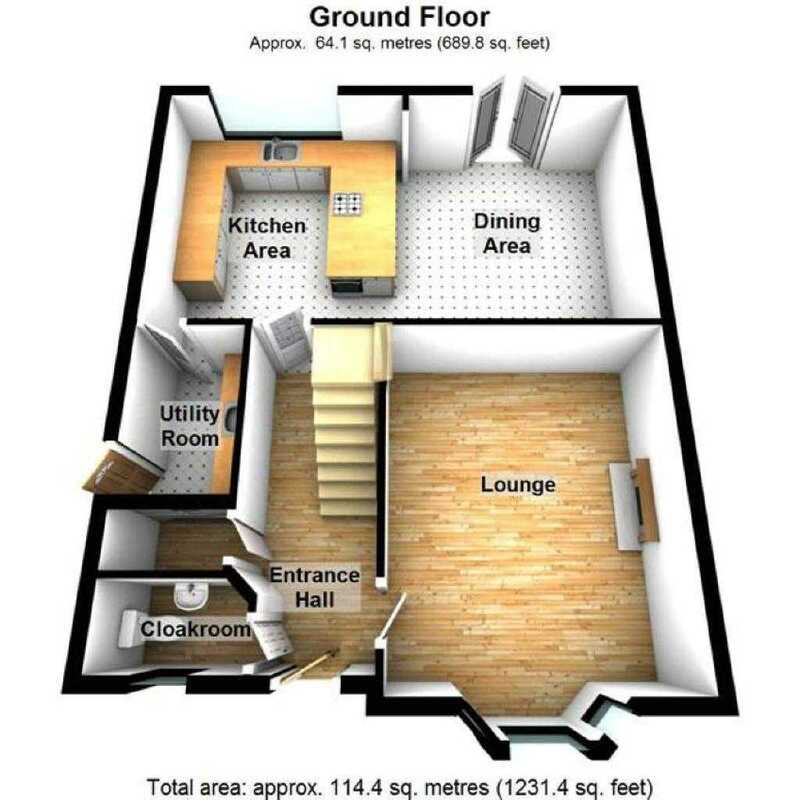 Fitted with a white two piece suite comprising: low flush WC, wall mounted wash hand basin with mixer tap over and tiled splash back, obscure UPVC double glazed window to front elevation, a radiator and tiled floor. With UPVC double glazed window to front elevation, sand stone fireplace with hearth fitted electric fire, a radiator, telephone point and television point. A door leading from the kitchen area leads to the utility room, which is fitted with a base unit with dark effect work surfaces over, tiled splashbacks, inset stainless steel sink unit with mixer taps over, plumbing for washing machine, space for second fridge, wall mounted combination Baxi boiler with wall mounted thermostat control, a radiator, tiled floor, double glazed door to the side elevation. Fitted with a three piece suite comprising: corner shower unit with mains fed shower an extractor fan, low flush WC, wall mounted wash hand basin with mixer taps over and tiled splashbacks, Kardean floor, wall mounted chrome towel radiator, light/shaver point and Velux window to side elevation. With UPVC double glazed window to the front elevation, a radiator and access to loft. With sloping ceiling to include Velux window, UPVC double glazed window to the front elevation and a radiator. Fitted with a white three piece suite compising: a bath with overhead mains fed shower and screen, wall mounted wash hand basin with mixer taps over, low flush WC, part tiling to walls, obscure UPVC double glazed window to the side elevation, chrome towel radiator, extractor fan and Kardean floor. The property sits in a corner plot location with a lawn front garden, with block paved driveway and path giving access to the front entrance door. There is gated side access leading through to the rear of the property where there is a further lawned garden with gravelled sides and slabbed patio. 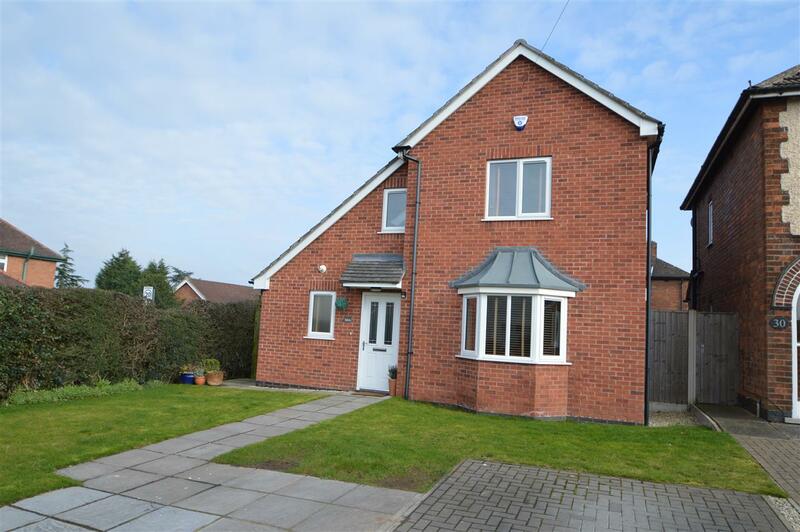 Access is available from Church Drive where there is gated access providing further blocked paved driveway for off road parking which in turn leads to the brick built detached single garage with up and over front door and side access.